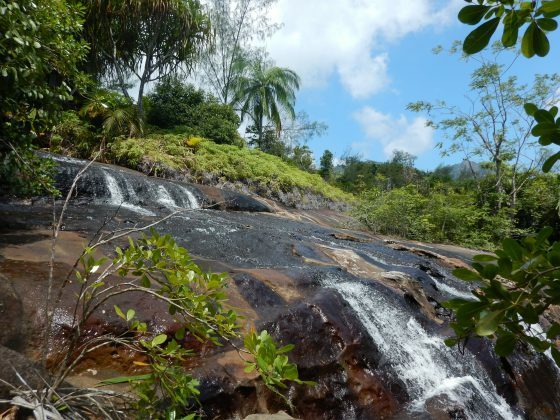 GTC, alongside the Island Conservation Society and biodiversity consultant Bruno Senterre, went in search of two Critically Endangered tree species known only from a single island in the Seychelles archipelago, Silhouette. Silhouette is an island of two ridges, with cliffs, valleys and waterfalls like the one above. 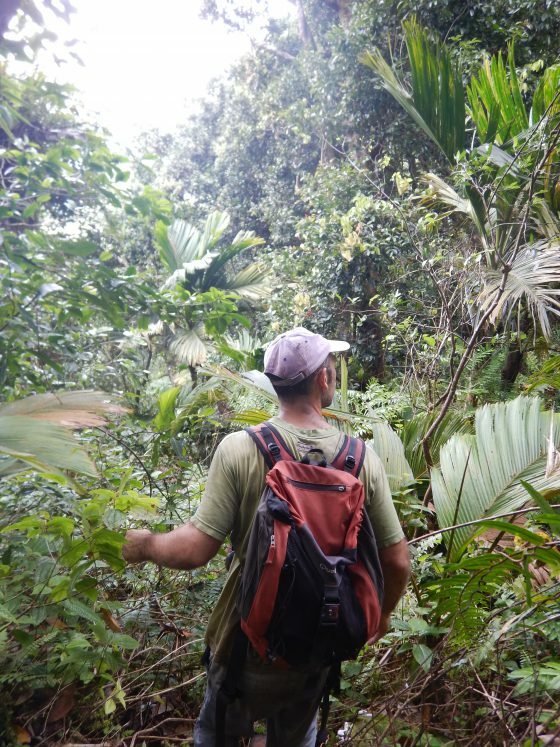 It is home to many interesting plant species including the threatened trees Trilepisium gymnandrum and Psychotria silhouettae. Over ten years ago these species were assessed as Critically Endangered; it was time for an update. Although the island of Silhouette is less than 25 km2, the terrain is difficult, with large ravines and few trails. 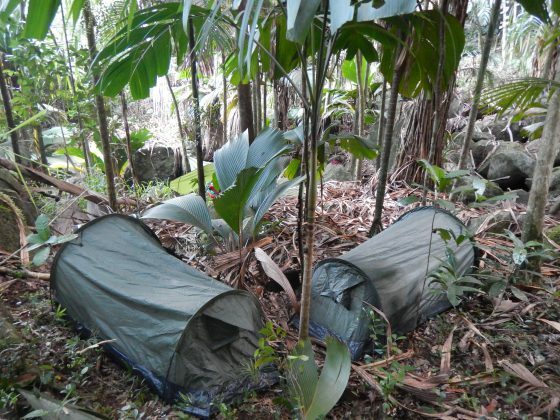 Many of the survey sites were very far from the nearest comfy bed, so over the two surveys the team spent several nights camping in the forest. Psychotria silhouettae is another Critically Endangered species, with only six known individuals in 2007. Our survey team successfully located three subpopulations of the species, finding 38 adult trees and 19 saplings. A botanist’s work is never over. 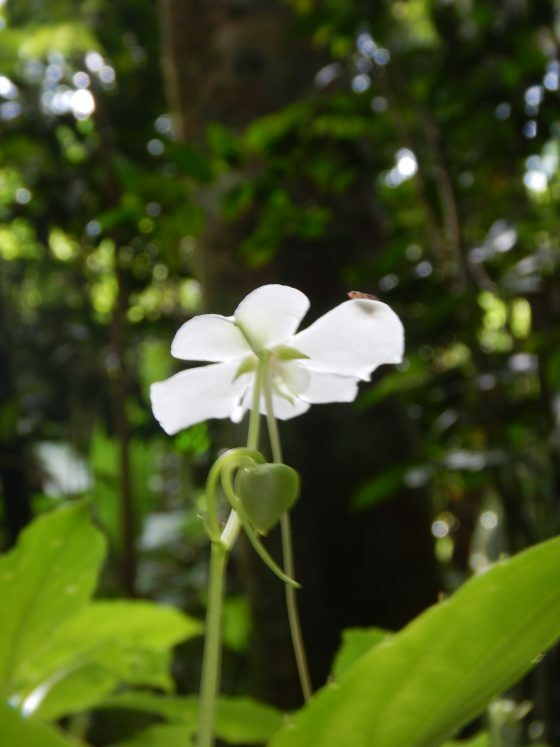 The island is home to another Critically Endangered plant species, Seychelles Bizzie Lizzie (Impatiens gordonii). 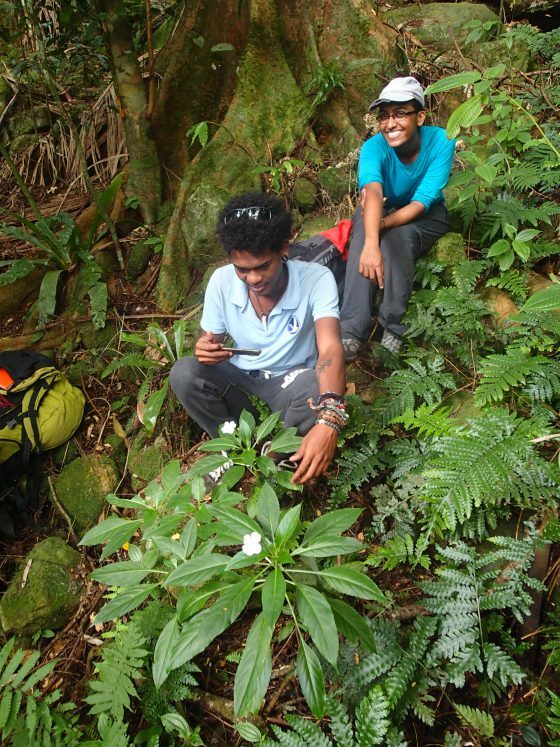 The survey team also looked for populations of this herb and found that only three of the eight subpopulations remain. The Seychelles Bizzie Lizzie also used to be found on other islands in the Seychelles, but now only remains on Silhouette. Although the island is designated as a National Park, the very small remaining population size of each of these species means that they are at very high risk of extinction due to unforeseen events, such as storms. As part of the project, the survey team were trained in data collection by Dr. Bruno Senterre. The data were used to create Species Action Plans and red list assessments to make sure the most up to date information about these species can be used by conservationists to ensure these species are not lost forever. 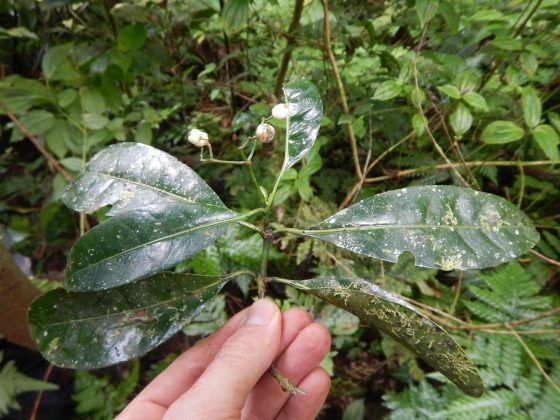 The Species Action Plans can be found here: Trilepisium gymnandrum, Psychotria silhouettae and Impatiens gordonii. The red list assessments have been submitted to IUCN and will be live on the website later in 2018. 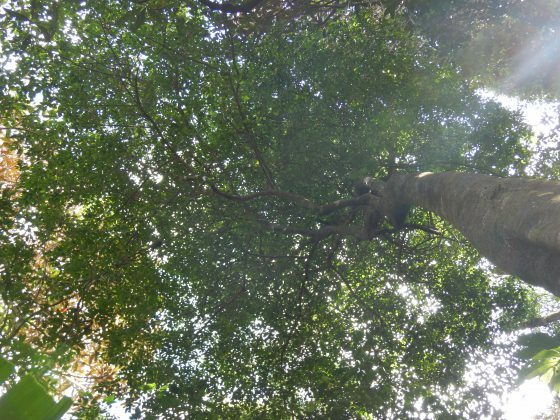 Emily is a Conservation Officer at Botanic Gardens Conservation International (BGCI), working on the Global Trees Campaign contributing to GlobalTreeSearch, redlisting, ex situ surveys and communications. We can always count on Bruno and I am sure Francois and co have gained a huge experience. What about the Pisonia Seychellensis.